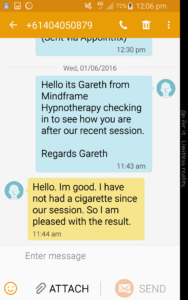 Welcome to the Stop Smoking Hypnosis Specialists Melbourne. As a smoker, do you smoke for one or more of the following reasons? In fact many smokers often feel that their cigarettes are like an old friend. Whatever your reason for starting smoking (many times due to social conformity) these positive associations are the things that may keep you hooked on cigarettes. We understand these reasons and help you to release your attachment to them. Perhaps in the past you may have given up for a period of time and felt great, but then something caused you to go back to the habit. When a non smoker sees a cigarette they see CONSEQUENCES. They do not see any kind of positive. Everything about smoking screams danger. 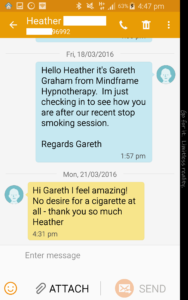 Hypnosis can help you make the shift to being and staying a non-smoker. 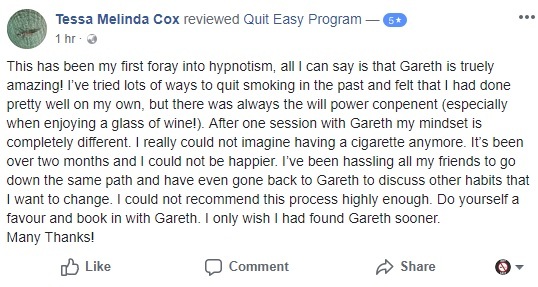 A person could be forgiven for believing that all hypnotherapy is the same…And that one hypnotherapists Stop Smoking session is the same as another. The reality is that not all hypnotherapy is the same. Are you the kind of person who demands success and professional service over cheap and poor results? 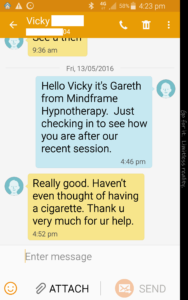 At Quit Smoking Hypnosis Melbourne we take a fully comprehensive approach to helping you to feel good. 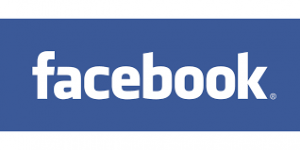 We know the triggers, the drivers and how to help to eliminate them. We are also specialists in hypnosis. 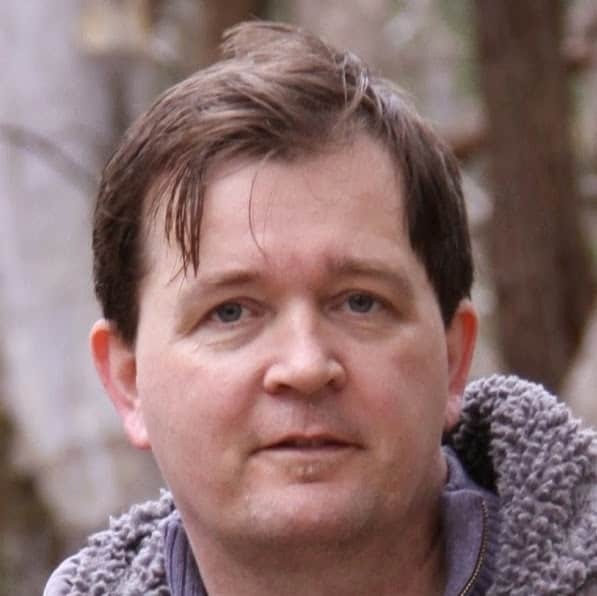 We don’t mix hypnosis with other things and we have years of experience working FULL TIME in this area. 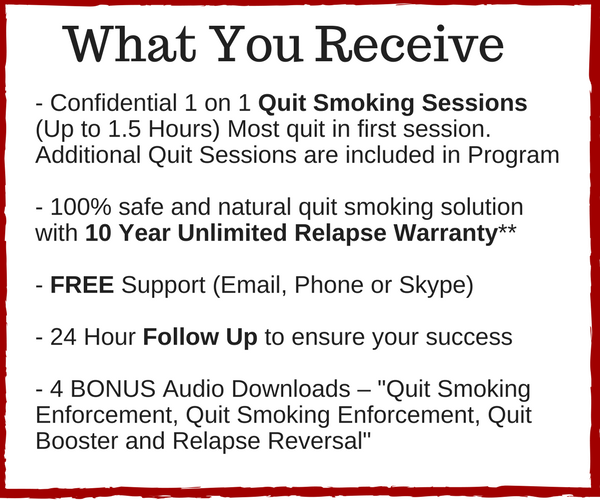 Our goal is to help you become and stay smoke free, that is why we follow up on every single client we see. No other Melbourne Hypnotherapist is this confident about their therapy!